Enjoy the best inspirational, motivational, positive, funny and famous quotes by Andre Trocme. Use words and picture quotations to push forward and inspire you keep going in life! 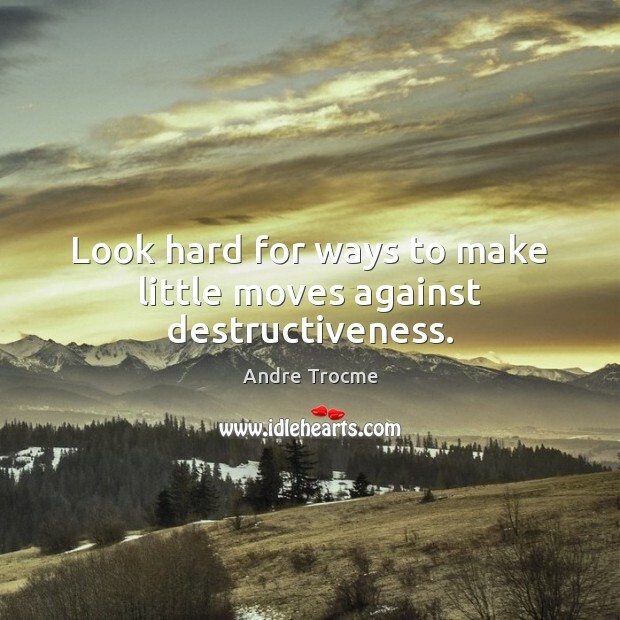 Look hard for ways to make little moves against destructiveness. A curse on him who begins in gentleness. 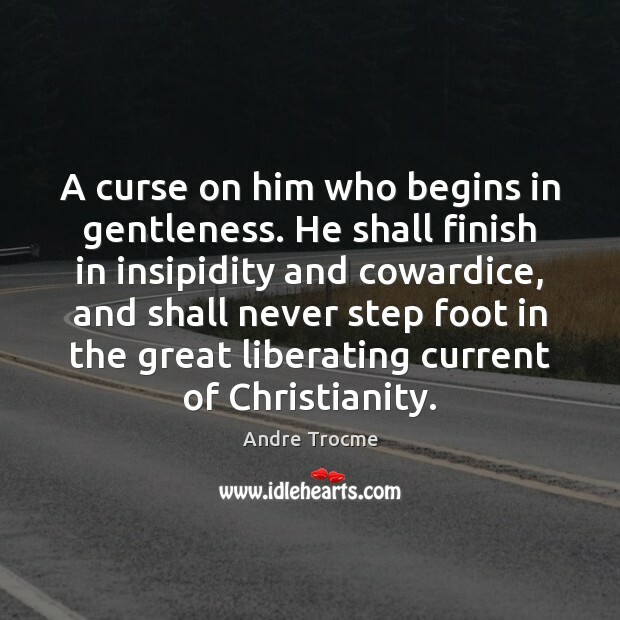 He shall finish in insipidity and cowardice, and shall never step foot in the great liberating current of Christianity. All who affirm the use of violence admit it is only a means to achieve justice and peace. 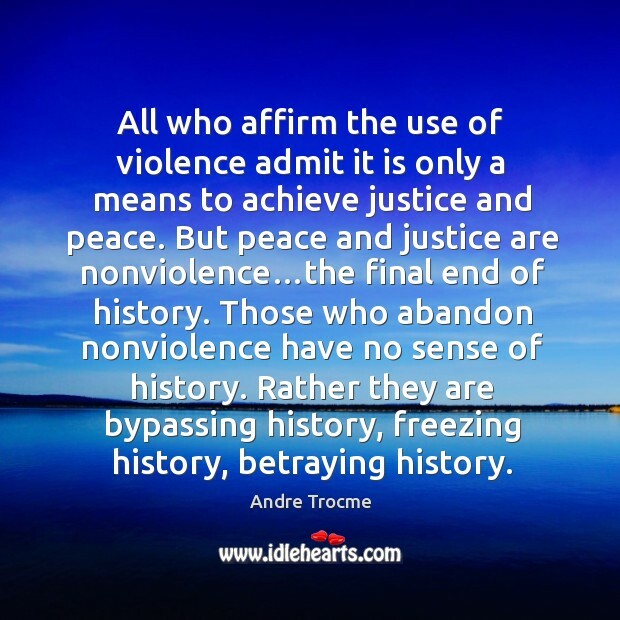 But peace and justice are nonviolence…the final end of history. 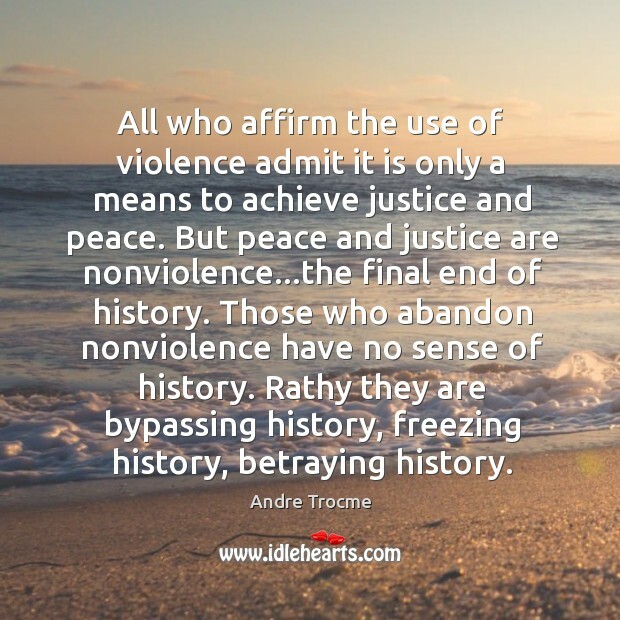 Those who abandon nonviolence have no sense of history. Rather they are bypassing history, freezing history, betraying history.